Wings of the Raven Now Live! The Wings of the Raven update brings new content and rewards. Two new 24-member dungeons arrive with this update, including the brutally difficult end-game raid: Skybreak Spire. In addition, a new Legendary upgrade path, streamlined Evolution paths, 6v6 Clan rankings, and a new generation of Legendary accessories round out the highlights for Wings of the Raven. Learn more on our update overview site, or scroll down to the patch notes for the full details. Be sure to learn all the details to understand how these changes affect you. Get a quick overview of both of these instances in our recent article. Weapon and Accessory progression has been overhauled. 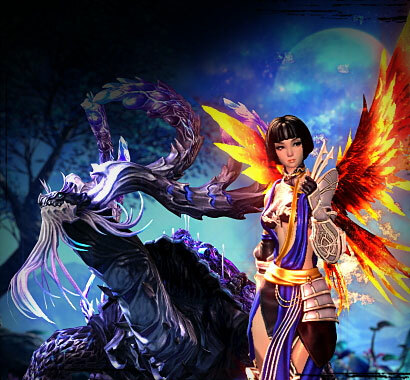 The Blade & Soulmate event is now live and will run from February 8 through March 1. Complete the daily quest "Blade & Soulmate" at Jadestone Village to receive Love Potion and Heart's Desire Boxes, which contain the Chocolate Heart event currency. Additional Chocolate Hearts can be earned through the Daily Dash as well as certain bundles of items on the Hongmoon Store. The 64-bit client is now available. 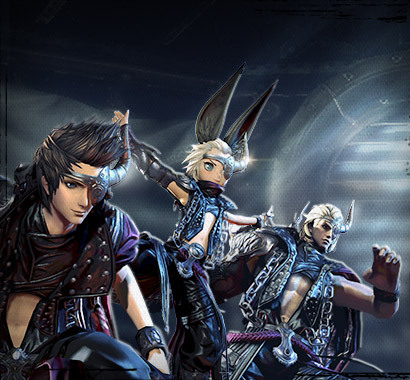 If you would like to run the 32-bit client, please select the option from the Blade & Soul Launcher. Daily Challenge quests have been updated for Tuesday, Wednesday, Saturday, and Sunday. 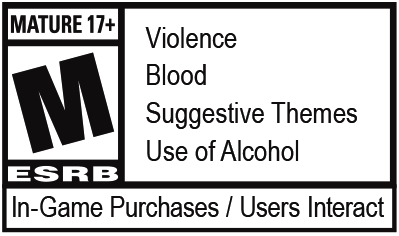 Reduced Health and Regeneration for monsters in Viridian Coast, The Cinderlands, and Moonwater Plains as well as some monsters in Silverforst Mountains. Dawn of Khanda Vihar, a weekly 24-member raid instance, is now available and can be accessed from southern Khanda Vihar. Warning: Entering Dawn of Khanda Vihar while part of an Alliance that has defeated Meganura will cause you to be saved to that instance ID. Skybreak Spire, a weekly 24-member raid dungeon, is now available and can be accessed from northern Khanda Vihar. Warning: Entering Skybreak Spire while part of an Alliance that has defeated the first boss Venomsky Drake will cause you to be saved to that instance ID. Weekly raid lockouts expire at 6 AM server time every Wednesday. The Tower of Infinity - Season of Triumph Season 1/3 has begun and will run from February 8 until March 22. Tower of Infinity - Season of Triumph tickets are now required to enter the Tower of Infinity. New Soul Badges are now available from the Tower Trader NPC Gang Chiwon as well as the second Premium Membership tab in Dragon Express. Weekly and Seasonal rewards have been updated. Fury Tokens can now be traded and sold on the Marketplace. Galaxy Weapons can now be upgraded to Stage 9. Baleful and Seraph Weapons can now be upgraded to Stage 10. Legendary Raven Weapons are now available and can be upgraded from Baleful or Seraph Stage 10 to a maximum of Stage 6. 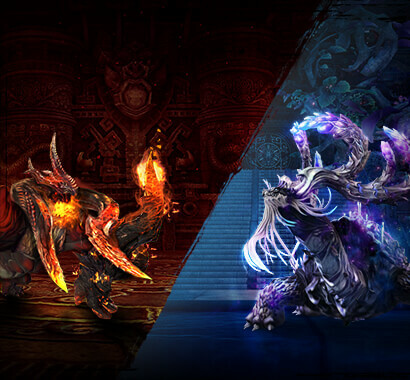 Octagonal and Flawless Brilliant Hongmoon Octagonal gems are now available via the Transmutation menu. 6v6 Clan Battlegrounds are now available on Tuesdays, Thursdays, and Saturdays from 8 PM - 10 PM server time. 6v6 Clan Battleground Season 1 has begun and will run from February 8 through March 22. 6v6 Clan Battleground rankings can be viewed in the F11 menu. Weekly and Seasonal rewards have been added. 3v3 Tag Match Season 5 has begun and will run from February 8 through March 22. Whirlwind Valley Season 5 has begun and will run from February 8 through March 22. Fixed and updated localization in English, German, and French.